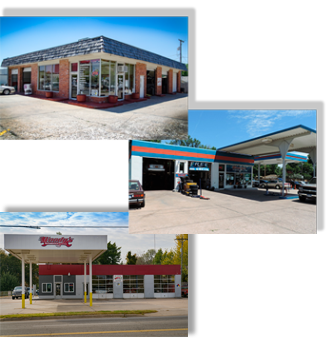 Woody’s Automotive is a family owned and operated full service neighborhood auto shop. You can rest assured that your vehicle is in good hands as our staff boasts over 70 years combined automotive repair experience. We aren’t a corporate chain, we are a neighborhood shop and that means with you as our neighbors we will give your vehicle the attention it deserves. We provide high-quality, guaranteed service that you can trust all at a fair price. We repair foreign and domestic vehicles including cars, trucks, SUVs and fleet vehicles. We use the latest diagnostic equipment to guarantee your vehicle is serviced correctly while maintaining your manufacturer’s warranty. We use only quality replacement parts. Customer service is very important to us . We hope to demonstrate integrity and concern in building a lasting relationship with you. You'll be greeted with friendly faces every time you walk in the door. We'll listen to all of your concerns and ask questions to help diagnose your car in an accurate and efficient manor. At Woody's Automotive our goal is to educate you, our customer, so you are able to make a well informed decision about your vehicles maintenance, tire, and other repair needs. After inspecting your vehicle we will provide you with information and make recommendations pertaining to safety first - then dependability. We understand you have busy schedule and rely heavily on your vehicle so if you need a ride to work or your car picked up we have you covered. We are confident in our services and stand behind our repairs with a 3 year 36,000 miles warranty on most services, parts & labor. Call us, come see us in person, or schedule an appointment online today!